from the original sources through qiyas and ijtihad. In order to examine these laws of social security with reference to non-Muslim subjects of an Islamic State, one should have recourse to these sources. Before coming to the subject proper an appreciation of the contemporary concept of social security and its evolution is necessary. The term 'social security' denotes the programmes established by law to provide for the economic security and social welfare of the individual and his family. Nowadays these programmes have assumed the shape of old-age pension, unemployment benefit, sickness benefit, death grant, disablement allowance, family allowance, etc. 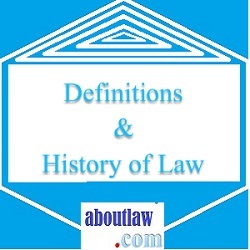 Some European authors try to trace the evolution of these laws to some practices of the late medieval period. But the truth is that Europe first got acquainted with the laws of social security at the end of the last century only. Before 1883, the functions that now come under social security law, were discharged by private arrangements made chiefly by co-operative movements among workers. The practices considered to be the primitive forms of this concept have no relation to it. One of the instances referred to is the practice at some places in England where local magistracy was empowered in 1531 to licence the aged, sick and crippled persons to beg in their neighbourhood. Another statute referred to is that of 1536 which provided for organization of relief of those unable to work through voluntary funds. The attitude of the central government towards these local initiatives was nothing more than that of supervision and advice. The first instance of social security laws in Europe can be seen in the scheme of compulsory State insurance which was introduced by Bismark in Germany in 1883. Germany was followed by Austria and some other countries. By the beginning of this century most of the European countries initiated promulgation of laws in this direction. In America, except the Workmans Compensation Act passed in 1908, no significant legislation was enacted until 1935 when the Social Security Act was passed by the Congress. 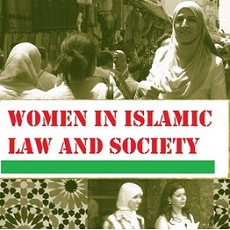 Contrary to the European tradition, in Islam, right from the beginning, fulfillment of the basic needs of the subjects was conceived to be the concern of the State. Zakat is the first institution of social security in Islam. Payment of 2l1/2 percent of his/her savings of the zakat fund is one of the fundamental duties of a Muslim. The State is responsible to collect zakat and make arrangements for its distribution. Non-payment of it is tantamount to waging war against the State. The Caliph Abu Bakr subjugated by force all those who refused to pay it. Non-Muslims are also included in one of the categories of the recipients of zakat. While prescribing laws for the distribution of zakat, the Quran includes them among those 'whose hearts are to be conciliated'. Some jurists are of the view that this clause is inoperative after the time of the Prophet. Their views are based on a precedent of 'Umar ibn al-Khattab who got it cancelled by Abu Bakr towards some recipients of this category. Some prominent scholars of the past and present are of the view that this injunction is operative even today. It must be noted here that this share of the people belonging to this category is not on account of their inability to meet their material needs but for 'reconciliation' of their hearts. There are also some reports which suggest that the needy among the non-Muslims were also helped from the zakat funds during the early days of Islam. Majority of scholars hold it to be unlawful. Their opinion is based on the precept of the Prophet who directed Mu'adh to take zakat from rich Muslims for distributing it among poor Muslims. Some present day scholars also hold the view that poor and destitute among non-Muslims can be helped out of the zakat funds. [l3] It is reported that 'Umar interpreted the word masakin in the verse "Alms are for the poor and the needy (masakin) and those employed to administer the funds...." as non-Muslims. Besides zakat, the Quran provides for collection of sadaqat. Although sadaqah is not an obligatory duty like zakat, the Quran has given great Importance for it. Emphasizing the payment of sadaqah, the Quran goes to the extent of declaring, "You will never attain piety until you spend of what you love." The difference between zakat and sadaqah is that while the former is to be paid at a fixed rate, no such rate has been prescribed for the latter, In the words of al-Sayyid Qutub, "The rich are obliced to contribute as much as is sufficient to meet the necessities of the needy.... There is no restriction or condition except that it should be sufficient for their needs". The guidance of the Quran to the believers as to what they should give in the way of Allah is 'the superfluity.' So far as meeting the needs of non-Muslims from the funds of sadaqah is concerned, most of the scholars' view is positive. Elaborating the position of the Hanafis, al-Hidayah states, "Our doctors base their opinion regarding this point on the precept of the Prophet (S) who has ordained that alms should be bestowed upon persons of every religion indiscriminately. And they also argue that had not there been the Prophet's directions to Mu'adh, bestowing of zakat on dhimmis would have been deemed legal". Collection and distribution of sadaqah along with zakat are among the fundamental duties of the government. Impose other taxes to realize funds for this purpose. While prescribing the rules of zakat and sadaqah, the Quran emphasizes that the needs of those who are economically hard-pressed and unwilling to ask for help out of self-respect should be given priority. Thus it is clear that these funds are to be spent primarily to relieve people from immediate hardships without creating a class of social parasites. Besides Quranic institutions of zakat and sadaqah, there are several Prophetic traditions which hold the State responsible for the fulfillment of the basic needs of all its subjects. The Prophet (S) is reported to have said : "I am the guardian of a person who has no guardian". Another hadith declares: "The State is the guardian of a person who has no guardian". "And I have granted the right that if an old person becomes incapable of working or is suffering from ill health or is a destitute after being rich, so much so that his co-religionists start giving him alms, then his jizyah will be remitted; he and his family will receive the allowance for maintenance from public treasury as long as he lives in the Islamic State". Explaining the legal importance of the dhimmi treaties, of which the above extract forms a part, Majid Khadduri says: "The dhimmi treaties, it will be recalled, were in the form of constitutional guarantees from the moment dhimmi communities ceased to be separate entities. Finally Muslim authorities tended to regard their contractual understandings as religious obligations which should be strictly observed". Other instances of observance of social security laws can be found in the following practices of the Righteous Caliphs. Before going through the practices, it must be made clear that the nature of these practices was not that of compassion shown by some kings or rulers of the past towards some of their needy subjects. The exercise of the kings was in the nature of royal bounty rather than the realization of the rights of their subjects. 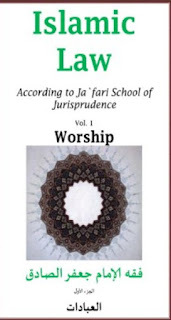 The Righteous Caliphs on the other hand considered these functions as discharging their duties and fulfilling the rights of their subjects, The legal significance of these can be gathered from the following words of an eminent jurist al-Hasan al-Basri. While answering the questions of a ruler regarding some precedents of the Pious Caliphs, he stated: "You have only to follow what your predecessors did". Other Muslim jurists have also referred to these as the basis of their argument while giving their opinions. The Kitab al-kharaj of Imam Abu Yusuf is replete with such references. The Caliph 'Umar, on seeing an old Jew begging, brought him to his house. He gave him some cash and ordered the treasury officer that such people who could not earn their living should be granted stipends from the public treasury. Once, seeing some non-Muslim lepers on his way back from a journey, he issued orders that they should be provided maintenance from the State funds. In a letter addressed to Adi ibn Artah, 'Umar ibn 'Abd al-'Aziz wrote: "Be kind towards dhimmis. If you find some of them old or helpless, give maintenance to them". 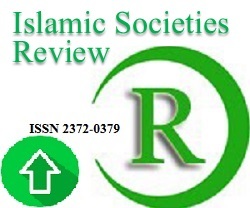 The above-mentioned instances bear clear evidence as to how Islamic Shari'ah assures thee basic material needs of the non-Muslim subjects of an Islamic State. 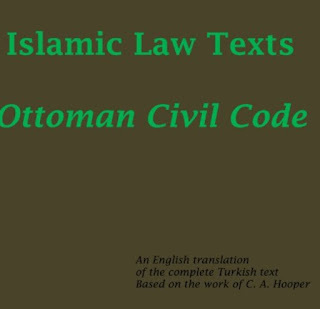 The legal guarantees of the material requirements of the citizens, with which the West became acquainted only in the beginning of this century, were given by Islamic Shari'ah fourteen hundred years ago. This attitude towards religious minorities is of great importance in view of the fact that such minorities are deprived of even basic human rights in the so-called welfare states of the twentieth century. 1. Hary Calvert, Social Security Law, London, 1974, p.5. 2. Encyclopaedia Britannica, 1966, vol. 20, p. 894. 3. A. Harding Boulton, Law and Practice of Social Security, Jordan & sons Ltd., Bristol, 1972, p. xii. 6. Hary Calvert, Social Security Law. London, 1974, p. 5. 8. The Qur'an, Suratal-Tawbah: 60, Yusufal-Qardawi, Fiqh al-zakat. Bombay 1980, p.356. 11. Mawdudi, Tafhim al-Qur'an, Delhi, 1983, vol. 2, p.9, Rashid Rida, Tafsir al-Qur'an al-hakim, 1354 H., vol. 2, p.574. 12. Abu 'Ubaydah, Kitab al-'Amwal. Cairo, 1353 H., pp. 611, 612. 13. Yusuf al-Qardawi, Fiqh al-zakat (Urdu), Bombay, 1980, p.434. 14. Abu Yusuf, Kitab al-kharaj, Cairo, 1382 H., p.144. 16. Al-Sayyid Qutub, Social Justice in Islam, American Council of Learned Societies: Washington, 1953 pp. 64-66. 18. 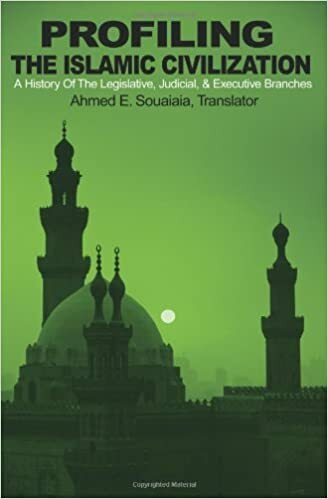 Al-Hidayah, Delhi, 1979 (English Edition), vol. I, p.20 19. Al-Mawardi, al-'Ahkam al-sultaniyyah, Nafis Akademi, Karachi, p.33. 20. Ibn Hzam, al-Muhalla, Egypt, 1347 H., p.156. 22. Nawab Hayder Naqawi, Ethics and Economics: An Islamic Synthesis, Islamic Foundation, UK., 1981, p.140. 25. Najatullah Siddiqi, Islam kanaz ariyyeh milkiyyat, Delhi, 1978, p.396. 27. Abu Yusuf, Kitab al-kharaj, Cairo, 1382 H., p.144. 28. Majid Khadduri, Law of War and Peace in Islam, The John Hopkins Press: Baltimore, 1955, p.220. 29. Supra. note. 3, p. xi. 30. Mawdudi, Islamic Law and Constitution, Lahore, 1979, p.283. 31. Abu Yusuf, Kitab al-kharaj, Cairo, 1382 H., p.122. 32. Al-Baladhuri, Futuh al-buldan, Cairo, 1959, p.129. 33. Mu'in al-Din Nadwi,Din-e rehnmat, Azamgarh, India, p.254, from Ibn Sa'd's al-Tabaqat.